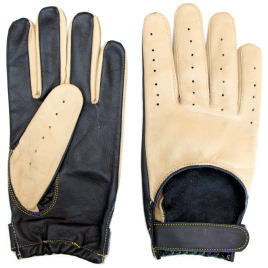 I ordered a pair of Falcon gloves as a 60th birthday gift for my big brother - he drives a Mitsubishi Eclipse and Volkswagon dune buggy, so he likes driving! After a somewhat slow delivery (four weeks!) they did arrive, and wow! Supple, comfortable and perfectly sized. I ordered the cognac and dark brown colour combination. My brother MIchael loved the look, feel and fit. I\'ll get a pair for myself, once I get a better car!